Refurbished to a high specification, this basement-garden flat with its own entry via an external stairway, is situated on a fine tree-lined terraced avenue built between 1840 and 1852. The building is Grade II listed and in a conservation area. This is an opportunity to stay in a spacious, contemporary furnished, central London property with outside space for relaxation and dining. Within a 2 minute walk from Paddington Station which can be reached in 15mins from London's Heathrow Airport via the Heathrow Express. Paddington is also London's main train hub to the west -Oxford, Bath, Plymouth, Cornwall and Devon, Stonehenge and Wiltshire, Cardiff and Wales. All London's many attractions are either on the doorstep or easily reached by underground, bus or taxi. There are four underground stations within easy walking, Paddington, Lancaster Gate, Queensway, Bayswater. These stations are serviced by Central, Circle, District, Bakerloo and Hammersmith and City lines. Oxford Street, Regents Street, Harrods, South Kensington shopping are within easy reach and Whitely's Shopping Centre is located nearby in Bayswater. There are 83 street markets of London they are a real treat, especially those at Camden and Portobello Road which is close by. Westfield Shopping Centre, the larget in Europe is only a few stops on the underground. Anywhere in London can be accessed by bus, tube and taxi, all easily available locally within 200 metres from the property. Children are welcome but external access via steep stone stair requires care and adult supervision. Therefore not suitable for infirm. Smoking in outdoor areas only. Iris and Fred are warm and caring hosts, who go out of their way to make sure you have a great stay. The apartment is comfortable for five and is well-appointed. The only thing to be aware of is that the en-suite bathroom connected to the master bedroom is a 'shower room,' with no inner walls, so it is very wet and steamy for the second person in. The location of the apartment is close to everything, but not right in a neighborhood so expect to take short walks for meals, groceries, etc. We loved every single moment from our recent trip. Fred and Iris are wonderful hosts and have thought of everything you could possibly need while on holiday. They answered all of my questions in a timely manner before our visit and were very responsive during our visit. The flat was beyond amazing! The kitchen, baths, bedrooms and every part of the house are fully stocked. Sparkling clean, beautifully decorated, spacious, trendy and so very comfortable. The patio area is perfect to enjoy some fresh air and a cup of coffee/tea. The location is easy walking distance to Paddington Station. Fred was kind enough to meet us at the station after our long flight and helped us with our luggage. On the way home, he detailed the neighborhood and recommended local restaurants. When we arrived at the flat, he had a large map and reviewed all of the surrounding areas to make sure we knew exactly how to maneuver around the city. This was so helpful!! Iris was so lovely as we chatted about our week's agenda. 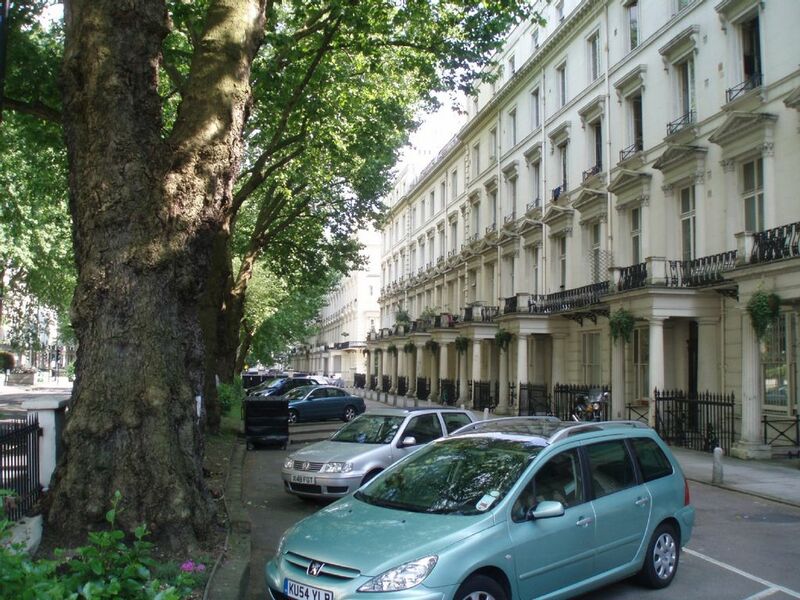 Bayswater, Notting Hill and Queensway are very close and offer many shopping and dining options. It is a very easy walk to Hyde Park and Kensington Palace. We were a family of four (3 adults, 1 child) and felt completely safe. The flat is far enough away from the hustle and bustle of the city center which made for a very relaxing holiday. We would 100% recommend this flat and Fred and Iris to our other friends and family. We hope to return in the near future. Thank you Fred and Iris!! Fantastic Apartment & Location with great hosts! Our family of 5 recently stayed at Fred and Iris' apartment for 6 nights. Right throughout the process (from pre booking to checkout and beyond i.e. I left something behind!) Fred was very accommodating, helpful and easy to deal with. The apartment is well maintained and extremely well located - walk to key tourist spots like Hyde Park, Oxford St, Lords/Abbey Rd, Harrods, Museums (anywhere really) or catch a Bus or Tube which are both close by. The apartment itself is large and very well equipped......even down to the availability of Oyster Cards (top up when you leave) Pay TV and a good CD collection! I could go on and on but the other reviews also cover it. We would definitely stay here again and have already recommended to friends. Thanks Fred and Iris! What a fabulous week we had in this wonderful flat that provides the perfect balance between nearby transportation with ease to and from Heathrow and access to all London has to offer as well as local conveniences of groceries and restaurants. Fred and Iris are supreme hosts, making you feel like you are visiting family. Fred met us at the airport and provided a valuable summary of the area on the short walk to the flat. Once we arrived at the rental, we found modern and very well equipped accommodations with the added touch of some much appreciated staples provide by Fred and Iris. We hope to return to London in the near future and we will definitely be looking up Fred and Iris in hope of returning to their grand home in Paddington. Great flat for our family "Girl Trip"
The flat was just perfect for our family "Girl Trip". There were 5 of us - grandmother, 2 daughters, 2 teen granddaughters. It was just as represented on the website and was immaculately clean. Fred and Iris were lovely hosts and provided everything we needed. The location was extremely convenient. All in all it exceeded expectations and I would definitely recommend it to friends. Oxford Street, Regents Street, Harrods, South Kensington shopping are within easy reach and Whitely's Shopping Centre is located nearby in Bayswater. Minimum Booking Period is 60 days. No fixed changeover days. 25% deposit payable within 5 days of booking. 100% of rental fee and a refundable security deposit of GBP2000 is payable 12 weeks before rental period starts. The security deposit less any loss or breakage costs will be refunded within two weeks of the end of the rental period. Cancellation policy: A full refund of deposit will be given, providing at least 90 days notice in writing. Cancellations within the 90 days will be refunded if the property booking can be re-let. We advise that guests take out insurance to cover their belongings and losses from cancellations within the 90 day period. Changeovers on Christmas Day, Boxing Day and New Years Day will not be accepted.